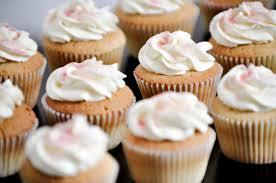 The importance of Wedding cupcakes is very well known as they are attractive and delicious. While designing cupcakes for guests, make sure that the number of guests are counted to purchase the requisite amount of ingredients. 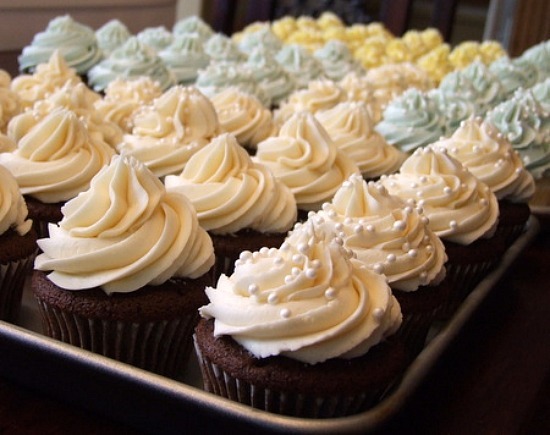 It is extremely important to ascertain whether the cupcake is a complementary dish to the main cake, or it would be served in the primary menu. 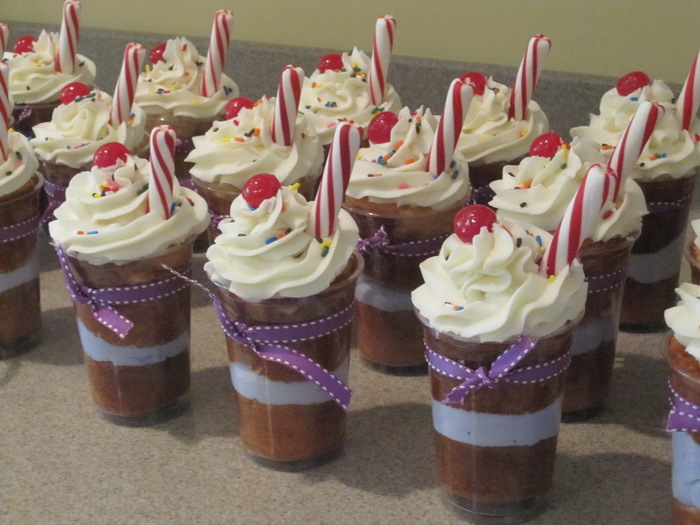 Similarly, two cupcakes for every person mean that a large amount of material is used to serve the guests. It is vital to decorate the Wedding cupcakes innovatively in an amazing style that would captivate the imagination of the people. There are numerous styles ranging from the buttercream frosting to wonderful edible petals. You can get the designs customized according to the requirements and specifications. For instance, unique toppers can be added to please the bride and the groom during the wedding. Some people might like chocolate flavor, and others would select the vanilla option. In addition as a part of the Wedding cupcakes design ideas, you can include the impeccable symbols such as the heart stoppers or floral figures. They gel well with the appearance of the cake and deliver scintillating results. Sometimes one can also place a real flower on the frosting to provide a natural look to the cupcakes. The next step, in creating the cakes, is to select a suitable tiered stand by purchasing one from the market or renting the product. Presence of low price stands in the market may prompt you to buy it for long term usage. Depending on the choice of shape, you can select square tier or a round tier option. There are instances when you may like to combine the round covered table with the rented or the purchased stand. While launching preparation, schedule the tasks accordingly and designate an individual who would be responsible for completing the process. Although the cakes are prepared beforehand, they should be frozen for the subsequent decoration. 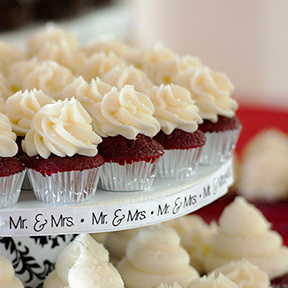 In order to provide instructions, initiate discussions with the people on how to accomplish the job of designing the Wedding cupcakes. Baking must always precede the freezing process to ensure that the item is amazing and wonderful. There are cupcakes available in different flavours such as lavender, chocolate, SMORE, vegan and Green tea to name a few. Some of them are quite healthy and preferred by older people suffering from health problems. You can prepare a combination of the cakes that are relishing to the palettes of the users.